There you have it, folks. Wizards’ biggest celebration of Magic to date, the 25 year anniversary of the game, the culture, and the community. Are you reveling in the shared euphoria of a sense of belonging and camaraderie? Are you still annoyed at how badly Wizards botched the Silver Showcase? There’s no doubt it was fun to see a Pro Tour that brought something to the table for everyone. My timeline was filled with Legacy enthusiasts that haven’t seen their format of choice on the big stage for years. It was great to see the best format (Modern) again as well, as it’s a thrilling watch that doesn’t also require an absurdly deep pool of knowledge to understand the subtle decision points and ramifications as an observer. Also, Standard was there I guess. I’ve seen a few calls to push the Pro Tour to all teams, and I don’t inherently hate the idea. Competitive teams are of course something we’re quite familiar with, both in professional sports, and also e-Sports; e.g. League of Legends and Overwatch. Competitive gaming doesn’t have the mandate that teams are inherently superior though. Gaming’s proto-competitive environment, fighting games, has always focused on individual personalities over teams. Starcraft, the second original competitive scene, was all about individuals as well. And with Twitch’s outrageous success, personalities are almost always cultivated on an individual basis, even if the streamer is part of some greater organization. It’s not clear to us yet whether teams or solo is the best way to move forward with Magic, and I’m sure Wizards will be crunching the data to try and determine that. There’s also the money factor to consider; as the Pro Tour is deemphasized, are teams more financially viable, or less? Perhaps the hottest deck of PT25 was ChannelFireball’s UB Shadow deck in Legacy. Now, I’m the last person that’s going to advocate buying cards simply because they show up in Legacy, unless the card is older than dirt and has a supply commensurate with the format’s demand ceiling. Stubborn Denial isn’t just a Legacy card though; it’s popular in Modern as well, and even manages some play in EDH as a nearly-permanent one-mana counterspell. Of course, Legacy is still going to spark some additional demand for the card where it didn’t really exist before, and with a low supply, it won’t take many actors to drive the card to a new price plateau. Death’s Shadow hasn’t done much in the format prior to this, and seeing the (second) best team at the Pro Tour show up with it is going to turn a lot of heads. With Deathrite Shaman’s departure, players are hungry to see what that means for the format, and with a new Shadow deck on the scene (which conveniently only plays two dual lands), players are getting both a new possibly top tier Legacy deck, and a “budget” deck. There’s more than single-digit copies remaining, but not that many more. Perhaps 50 total on TCGPlayer, with a few more scattered around? I wouldn’t be surprised to see a bulk of them under $13 or so scooped up in the next few weeks, and then a slower burn on the way up to $20. Another card that drew my attention while browsing the PT25 lists was Phyrexian Revoker. 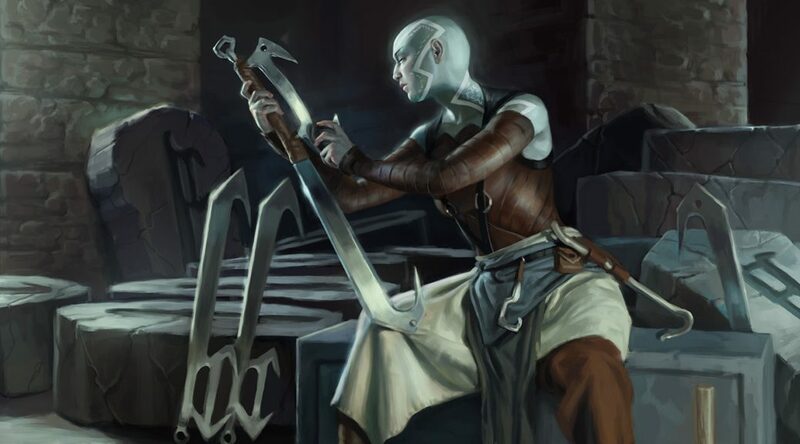 Both Death and Taxes lists that showed up in the top four cut were hard on Revoker, as it severely taxes one exact card in your opponent’s hand. (Just so happens it’s a tax they can’t pay.) Expect to see a lot more D&T around Legacy now, as DRS was the biggest reason it wasn’t more prevalent in the past. D&T is definitely a format staple now, especially given that it runs no duals, and the expensive lands — Wasteland and Karakas — have each been reprinted recently. Revoker isn’t only a Legacy card, of course. (If it were I doubt I’d be talking about it.) You’ll find it in a variety of Modern strategies, from Eldrazi, to Humans, to Hatebears, to Elves. It’s not a lock in any of those, but it’s a sideboard tool many pilots turn to when trying to solve specific problems for their unique builds. It’s even in a respectable 4,000 EDHREC lists, which means a fair bit of people are revoking in the social format of choice. Mirrodin Besieged foils are already just under $20 (and there’s two), so it’s not a stretch to imagine the roughly 20 Magic 2015 copies left getting there soon too. Nobody is going to be playing less of this card in the future, and it’s firmly entrenched itself as a staple of Legacy and Modern, with EDH just behind. I remember a few months writing that Humans may have just been a flash in the pan, and I couldn’t recommend buying the cards because it may not be sustainable. Heh. Humans is probably the biggest deck in Modern right now. That’s a far cry from not having existed just a year ago. (I think it’s been less than a year.) Reflector Mage is solid component of the list, with the two Humans decks in the top four running 4 and a 3/1 split. He’s got a chunky little body, staggers opponents with the tempo loss, is fun to Image or Restoration, and in general is a solid utility human. Reflector Mage is fun in EDH too, of course. Setting back a single opponent’s single creature isn’t the tempo advantage it is in Modern, but when you can set up an engine, it gets real obnoxious, real fast. Not like there’s any shortage of targets, but Deadeye Navigator lets you basically upheaval your opponent’s boards. Brago lets you do it every turn, as does that entire deck basically. There’s no shortage of other ways to abuse Reflector Mage in EDH. There’s 30ish foils on TCG right now, but only fix or six under $10. Buying at under $10 is basically already a profit, and with the tear Humans is on, these are going to keep getting vacuumed up.